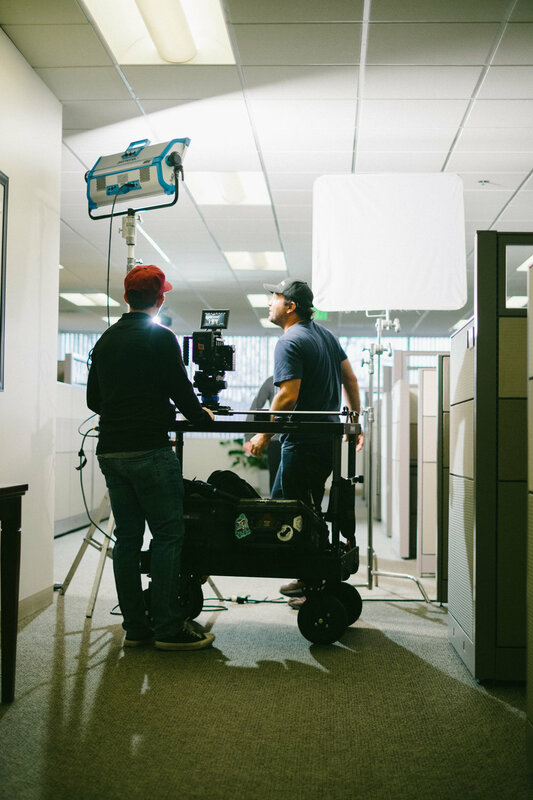 If you've been working in the video production industry for any length of time you know that the gear you use can help you move faster on set, keep things organized and within reach, and in some cases even have an impact on your overall health. That's the amazing benefit of having a production cart on set. Not all jobs are going to be a good fit for pulling one of these bad boys out, but for the right productions they are invaluable. That said, Inovativ are at the top of the pack when it comes to equipment carts. Here are some reasons why I chose to go with them and probably why I'll never look back. Motv Films shoot for IFG. I know, who cares what a production cart looks like right? Well, I do and I think you should to. The look and quality of gear on set is a huge deal with how clients perceive you and your business. That's a rabbit hole I don't want to go to far down though. This cart is beautifully crafted. From the quick-release wheels that effortlessly slide on and off to the self locking adjustable shelving and easily adjustable hand grips. It just looks so freaking good! All of that and it's easy to set up, tear down and roll around on set. I've used lots of other production carts and nothing is as functional or smooth when moving from one location to another. I don't know about you, but I don't own a production van. When I'm packing up all my gear I need to be able to fit everything into a medium sized car. That's where you really see the benefit of the Scout EVO. Open up the case and you'll see everything neatly packed into what will soon be the bottom shelf. The wheels are packed up into their own cases. Reversing the process is just as simple and breaks everything down into quite the slim travel case. Now, it's not super small or very light. The Scout EVO (depending on the model you choose) can range anywhere from 50-75 pounds. That's one sizable piece of kit you have to lift in and out of your car. Not a deal breaker for me, but definitely something to keep in mind. I haven't gotten on a plane with one of these yet, but there is an option to purchase a case that will protect the cart itself when traveling. The quality of the gear you use and how much of a beating it will take over time can directly effect your project. Video production is an expensive business to get into, especially how quickly technology changes. I need every piece of equipment I buy to be a good investment in both quality and durability. I've already talked about the design and ease of use, but let's get down to what carts are really made for...holding your stuff. The Scout EVO has 3 different models that can support weights from 400 to 600 pounds. I'm definitely not the power user that needs to hold a ton of crazy heavy gear, but I do want to know that this thing can handle my own equipment and could also support anything I might rent for different shoots as well. There are also other models outside of the Scout EVO family that can hold a lot more weight and even different types of gear you might have.